GESI build upon the success of GLOBSEC NATO Adaptation Initiative (GNAI) and constitutes GLOBSEC’s new flagship defence policy project which advocates for coherent and robust EU defence and security posture. 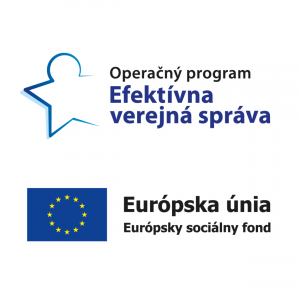 It aims to produce innovative and complex policy recommendations with the aim of strengthening Europe’s defence capabilities and operational readiness for a wide spectrum of challenges. This meeting is upon separate invitation only. Gen. (Ret.) John Allen, President, The Brookings Institution, Washington, D. C.
Led by: Kathleen Koch, Author, Journalist, and Founder, LeadersLink, Washington, D.C.
G-AISI is another initiative of GLOBSEC which builds upon the success of GLOBSEC NATO Adaptation Initiative (GNAI). 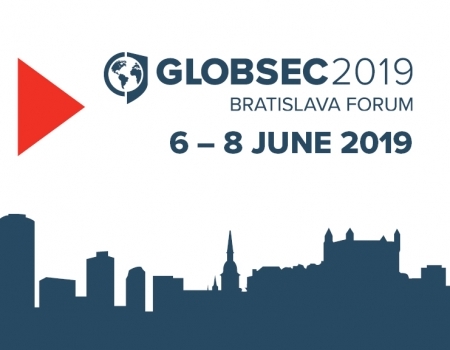 As artificial intelligence (AI) is becoming one of the key defining features of the future of global technological advancement, GLOBSEC is establishing a task force which would address the implications of AI’s rise for the transatlantic security. This meeting is upon separate invitation only. Larry Schuette, Director of Global Science and Technology Engagement, Lockheed Martin, Washington, D. C.
NATO faces a diverse spectrum of challenges emanating from its East and South. While the challenges posed by Russia are not entirely novel to the Alliance, the nexus migration-crime-terrorism are representing a new generation of threats to the stability of Europe. As the impact of the threats are common to NATO and EU, both organization must seek avenues in addressing them – in the Baltics, Mediterranean, Black Sea region and also in the cyber domain. Brexit is a historical moment both in the existence of the European Union and the United Kingdom. It is approaching fast, and we need to think about how it will affect the European Union: economically as well as politically. Damon Wilson, Executive Vice President, Atlantic Council, Washignton, D. C.
Populism: Is the Tide Over Yet? Randy Scheunemann, Member of the Board of Directors, International Republican Institute, Washington, D. C.
United States, Washington, D. C.
Closed Session: Outdated Regional Order In East Asia? Gregori Lebedev, Chairman, Center for International Private Enterprise, Washington, D. C.
Scott Carpenter, Managing Director, Jigsaw, Alphabet Inc, Washington, D.C.
Peace on Korean Peninsula: No Longer Out of Reach? Ian Brzezinski, Senior Fellow, Atlantic Council, Washington, D.C. Which Visegrad country favours a neutral position between West and East? Who are the biggest Eurosceptics in the region? Are the young the most pro-European? Which countries are the most satisfied with their EU and NATO membership? Are policies of world leaders recognised by Central Europeans or do they believe in conspiracy theories? What are the trends in public perceptions in the region and what changes occurred within a year? The presentation of GLOBSEC Trends 2018 report, which contains findings of specialised representative public opinion polls, will launch the roundtable debate on the views and perceptions of Central Europeans. Nicholas Rasmussen, former Director, National Counterterrorism Center, Office of the Director of National Intelligence, Washington, D. C.
Ukraine: Out of Tune With Europe? Amb. Kurt Volker, U. S. Special Representative for Ukraine Negotiations, U. S. Department of State, Washington, D. C.
Led by: Brian Whitmore, Director, Russia Program, Center for European Policy Analysis, Washington, D.C.
Laura M Rosenberger, Director, Alliance for Securing Democracy, Washington, D. C.